BeenThere-DoneThat: Around Mayfair (2), London. 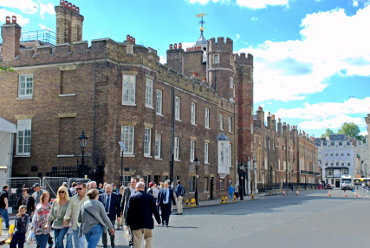 As the home of several members of the Royal Family and their household offices, it is often in use for official functions and is not open to the public. 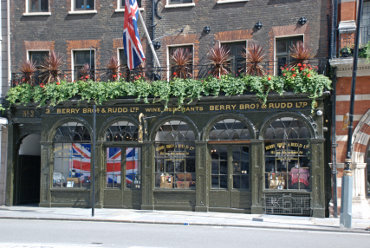 Just opposite St. James's Palace in St. James's Street are the premises of Berry Bros. & Rudd. One of Britain's oldest wine and spirit merchants it opened its doors for the first time in 1698 at 3 St. James's Street, London and has been trading there for over 3 centuries. On the extreme left you may notice an open archway. This is the entrance to Pickering Place. 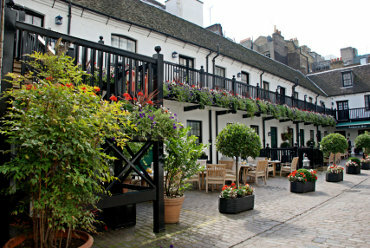 Blue Ball Yard is an 18th century yard off St. James's Street featuring stables built in 1742 and are now used as 12 luxury suites by the nearby Stafford Hotel. Originally the horses would have lived at ground level and the groom on the upper level. 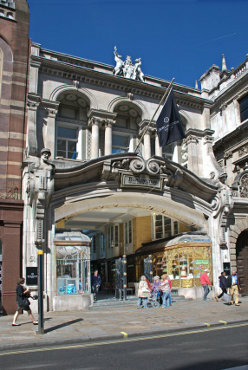 The southern entrance to Burlington Arcade, seen here, is in Piccadilly. Although the arcade opended in 1819 this facade wasn't added until the early 20th century. Burlington Arcade is not as old as the Royal Opera Arcade in Pall Mall. The arcade is patrolled by Burlington Arcade Beadles in traditional uniforms including top hats and frockcoats and houses around forty upmarket shops selling clothing, footwear, accessories and includes art and antique dealers and jewellers.